Corby Lighting LED Candle Frosted Daylight Dimmable Lamp 6W E14/SES 470lm is rated 4.7 out of 5 by 3. 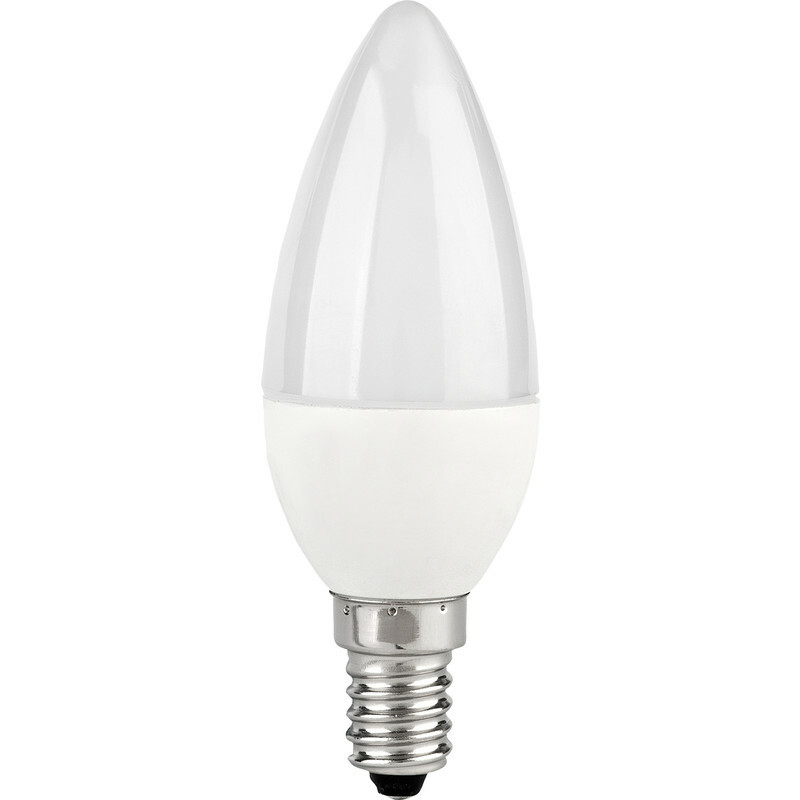 Rated 5 out of 5 by Tanz from Daylight LED bulb Excellent quality bulb, very bright and cool white light. not many palaces sell daylight bulbs. Good value for money since I bought it on sale. Rated 5 out of 5 by Dustydog from LED Candle Build Great bright light and dimmable. Rated 4 out of 5 by Greggthetrog from Led bulbs I bought them too replace some old halogen bulbs which they are doing well. Do notice a back ground buzzing when run through a dimmer switch.